This privacy notice tells you what to expect when LYC Events and Lymington Yacht Charters collects personal information. Information stored in cookies created by us are not shared with any third party unless required to do so by law. We embed videos via a professional video hosting service called Wistia. Our website and wistia embedded films are managed by Waite Films ltd. Waite Films is aware Wistia does collect some viewer information, but understands the data Wistia stores via cookies is not of a personal or identifiable nature. This website does not use any cookies when visitors watch our embedded videos. If you have any questions or concerns regarding Wistia, please Contact Waite Films or email support@wistia.com directly. You can also visit the Wistia website: http://www.wistia.com. LYC events and Lymington Yacht Charters do not collect personally identifiable data through cookies for marketing purposes. We will never share any of the information collected on this site. All of the cookies we use are of an unobtrusive nature. 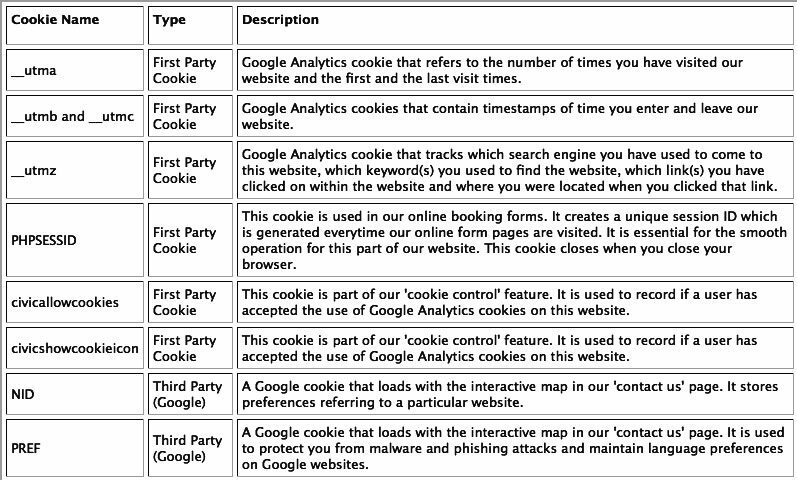 The table below explains the names and types of cookies used on this site.